Are you looking for some inspiration to make your next digital experience an overwhelming success? 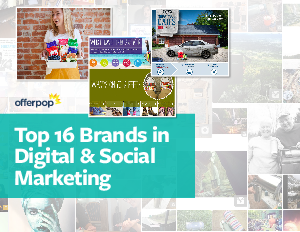 There are plenty of brands doing great things in digital, but there are a few standouts that deserve recognition for their outstanding marketing programs, including STA Travel's unique use of data, L'Oreal's product launch strategy, and BuildDirect's highly successful 'Shop by Inspiration' programs. The brands identified in this ebook represent some of the best in digital and social marketing, and their lessons will serve as a great foundation as you build out your future marketing campaigns.